Advance Design generates climatic loads (wind, snow) on the windwall planar elements. Wind loads can be generated automatically on windwalls, at both interior and exterior of the building. One can control the permeability of the windwalls by adjusting the Cpe and Cpi (external and internal pressure coefficients) values from the windwalls properties list. The internal pressure value can be modified by imposing a value for the permeability of the skin (opening ratio) μ. This value can be different on each direction, but valid on all windwalls, when computing the Cpi coefficient (see chapter 7.2.9 in EC1). 2. 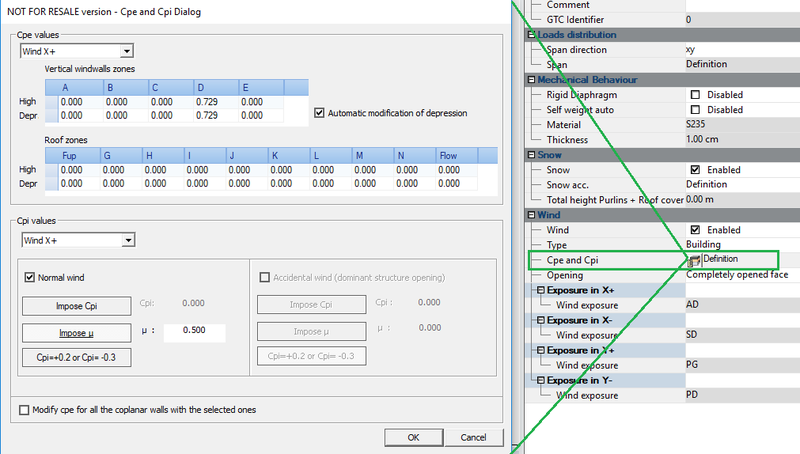 Select the wind-wall/s to be modified and enter the desired values for Cpe. Be aware of the wind load directions. 3. 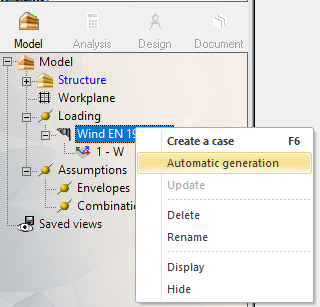 Deactivate the automatic Cpe and Cpi calculation in the wind case properties list. 4. 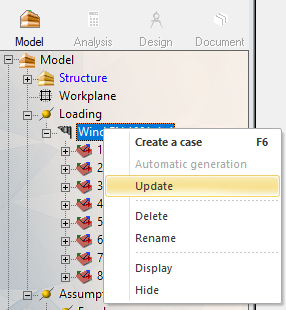 Regenerate/update the static wind loads. The resulting loads will be affected by the user defined pressure coefficients.